I hope you all had a wonderful 4th! We had fun exploring Phoenix a bit. It was a bit overwhelming trying to narrow down what we could/wanted to do for the 4th since Phoenix has a TON of different activities/celebrations/fireworks displays. It was hard to know what's worth going to and what we should skip since we're so new to the area so we picked a few things nearby. 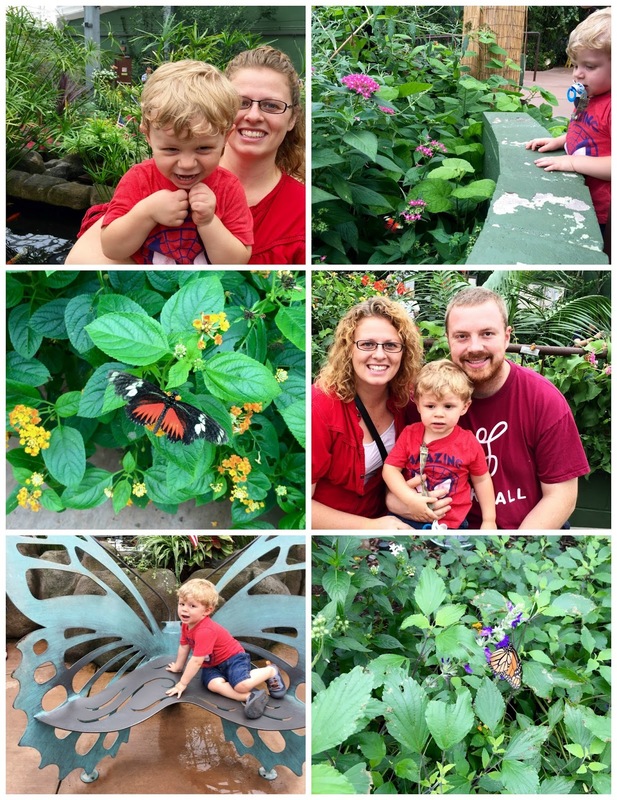 We've gone to a few butterfly atriums over the years and it's always a great way to spend a couple of hours. We last went when Will was only a couple months old in Gainesville and he definitely enjoyed it a lot more this time around. 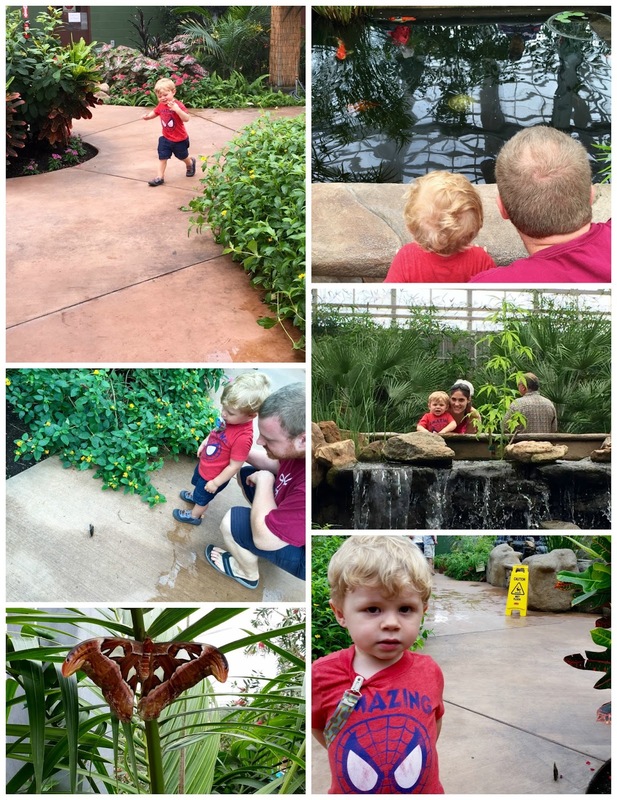 He actually looked at the butterflies (although he called them airplanes) and smelled the flowers. There were also puddles to jump in and huge fish. It probably is the most humid place in Phoenix which was awesome for me and my never ending stint with bronchitis, but we were all a little overheated and sweaty after about an hour an a half. Luckily, there was also a really cool 3D movie about monarch migration and a few smaller exhibits inside. We didn't grill but we got our burger fix at In-N-Out. We had never been before and it was surprisingly good. Nate even claimed that it is now his favorite fast food burger which is a pretty high mark to hit. 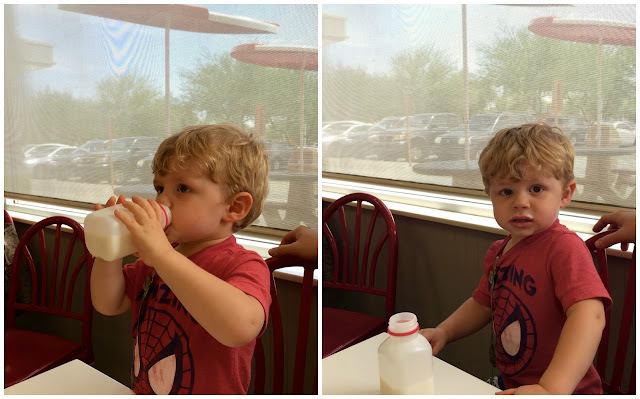 Will was so funny with his little jug of milk. He acted like he was in a "Got Milk?" commercial for the entire time we were in the restaurant. 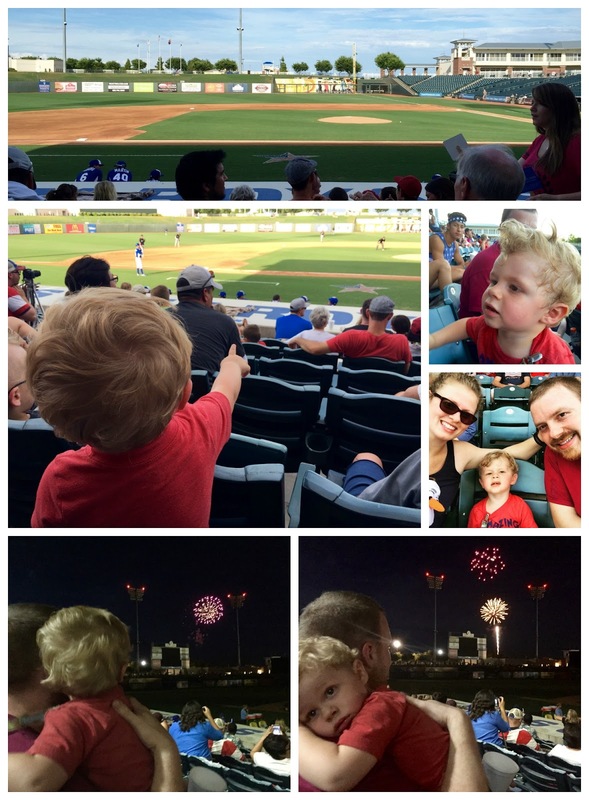 After nap time, we headed west to Surprise, AZ where we got to see the Seattle Mariners play the Kansas City Royals. It was a free game with a can donation and we got seats in the shade. The game was also really good with a combo of really great plays with just enough errors to make it really interesting. After the game there were fireworks and despite asking for "booms" all day long, we only got about 5 fireworks in before Will was done and we headed out. Driving home we saw about 10 other displays go off from the car which was really impressive. The only fail of the weekend was trying to see the fireworks on the 3rd a little north of us. It wasn't really our scene and right before the fireworks were supposed to go off, a huge storm came in and the lightning was pretty intense so we headed out before we got poured on. 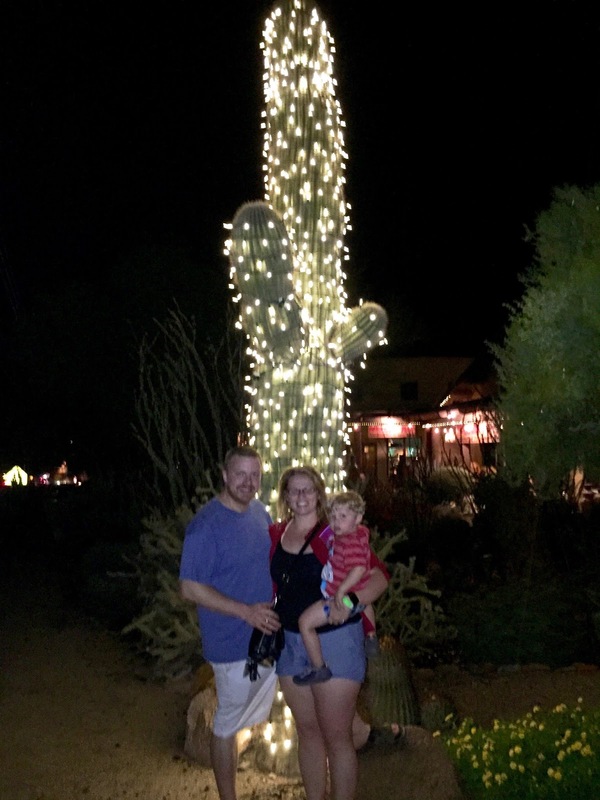 We did get to see a huge cactus decked out in christmas lights though. We all were trying to figure out how someone got stuck with that job (pun intended). Overall, it was a great weekend exploring the city.